Our 100th Anniversary Page | Boğaziçi University Electrical & Electronics Engineering Dept. The foundation of Boğaziçi University dates back to 1863 when Robert College was founded as the first American higher education institution outside the USA. Right from the start, Robert College has followed non-discrimination principles, valuing academic qualities above all. In 1912, the Engineering Faculty was founded with the Electrical Engineering Department being among the first established three engineering departments of Robert College, and the second Electrical Engineering Department founded in Turkey. In 1971, Robert College was handed to the Turkish State and took the name Boğaziçi University. The year 2012 marks the 100th anniversary of the foundation of the Electrical & Electronics Engineering Department. The first centennial anniversary will be celebrated with a series of events to acknowledge and mark the invaluable contributions of our past and present faculty as well as alumni in academia, industry, social sciences, and arts. The MASFOR forum has been planned to bring together the Electrical & Electronics and Computer Engineering graduate students as well as engineers who have recently graduated (within the last 2 years) from an M.Sc. program. The forum is envisioned to be an open platform for the participants to discuss their research, to get exposed to hot topics in current research activities/projects and to professional opportunities. The forum will have a workshop under the three main fields: Control Systems, Electronics, Telecommunications and Signal Processing. The official call for the forum will be announced at the beginning of 2012. ITHET 2012, the 11th Int. Conf. on Information Technology Based Higher Education and Training, is intended to provide a platform to discuss the recent developments and the future perspectives in IT based education and training. It is organized by UNESCO Chair on Mechatronics of the Department and enjoys the technical cosponsorship of many institutions, including IEEE Education Society. The accepted and presented papers will therefore be copyrighted to IEEE and published in conference proceedings that will appear in IEEE Xplore and be indexed by EI Compendex. Some papers will be selected for publication in IEEE Transactions on Education or IEEE Transactions on Learning Technologies. The dates are 21-23 June 2012. This is a summer school for undergraduate and early graduate students. The topics to be covered are: Introduction to Mechatronics, System Modeling and Simulation, Computer Aided Design (SolidWorks), Programming (Java), Robotics, Machine Vision, Pneumatics and Electro-Pneumatics, Sensors, Servo Handling Systems, Programmable Logic Controllers (PLC) and Final Project. The dates are 23 June - 1 July 2012. Participation Fee: € 700 + 18% VAT , including meals, social functions and shared boarding (in a double room) in a dormitory of Bogazici University. As part of the annual TESID awards, a Boğaziçi University Department of Electrical and Electronics Engineering 100th Anniversary Jury Prize has been announced for 2012. The scope of this award has been determined to be “From Concept to Product: Successful Applications of Academic Research in Industry”. The selection will be done by TESID among the nominated national/international industrial projects that were initially conceptualized and developed in a Turkish university, leading to a commercial end-product. 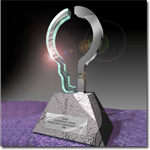 The application procedure will be duly announced by TESID together with the 2012 TESID awards. The announcement will be published on the Boğaziçi University, Electrical & Electronics Engineering web site as well.